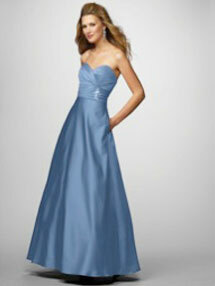 Bride's Maids: Blue dresses, called the "Once upon a time," are for Nancy and DeAnna. This is my #1 choice. Selma will be in black and Merigen and Donna will both be in pink, however let me know which you like best. Please choose your favorite Dress.